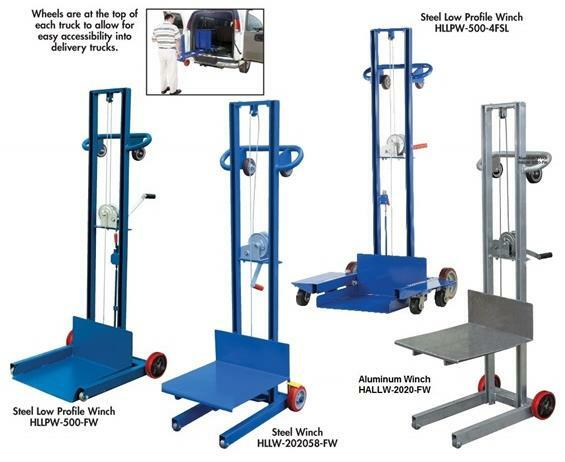 Lite Load Lifts | The Rembert Company Inc.
Easy to operate lifts are available in steel or aluminum construction for long life. 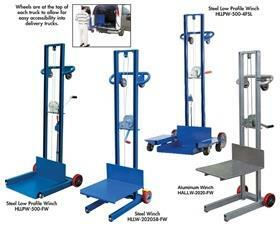 Lift and transport loads from delivery trucks, to docks, maintenance work or use in inventory items. Smooth rolling on 6" x 2" poly-on-poly rear wheels with 2" semi-steel front wheels, suffix (-FW). 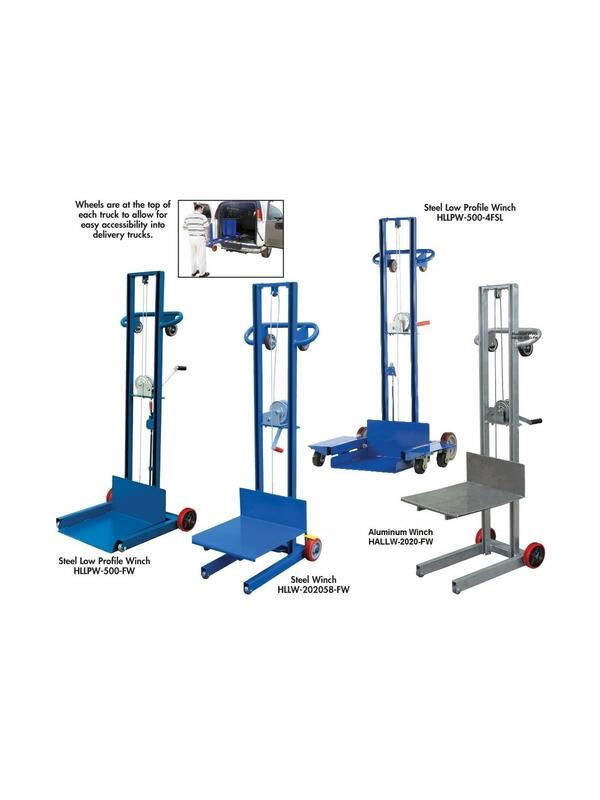 8" x 2" poly-on-poly rear wheels, four swivel casters, and a hand operated floor lock are standard on units with suffix (-4SFL). Located on the handle are two rollers to ease loading into delivery trucks. Horizontal load center is 10". Low Profile units have a deck height of 1/4" with 2" high side lips. FOB Shipping Point. Additional options available, see Related Items tab below.